Giovane got involved in music at a very early age, playing in various bands as a drummer, guitar player, and lyricist. However, it wasn’t until his friends dragged him to his first rave did he know he found his calling. Electronic music took over his life and motivated him to produce & mix the beats for crowds of all shapes and sizes to dance to. In 2012-2013 he saw many of his colleagues commit to the typical EDM club DJ circuit in his hometown of San Diego, which was extremely limiting as to what they could play. Being addicted to the crunchy grooves and bouncy bass lines of House & Techno he knew that would be the wrong move. Therefore, he made the conscious, but tough judgement call to leave sunny San Diego to build a worldwide network of artists and open minded individuals to gain inspiration and diversify his sounds. This incredible decision ultimately resulted in him becoming the Executive Music Director for China’s only electronic music platform, PYRO Music. This position involved managing all the newest music content on the massive platform, hosting a weekly live streamed DJ radio show, plus a monthly recorded mixtape series, and being a panelist for China’s first nationwide DJ poll and much more. All these duties had amazing perks that acted as a DJ bootcamp from significantly expanding his song collection to DJing live for new audiences every week. 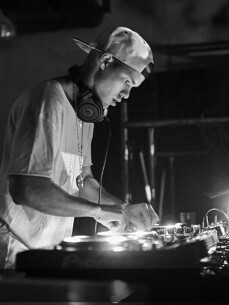 He has won multiple nationwide DJ & Mixtape contest since diving in full force. All this has led to a demand for his DJ sets throughout SE Asia that put him place to share the decks with MALAA, SHARAM JEY, CODEKO and many others.